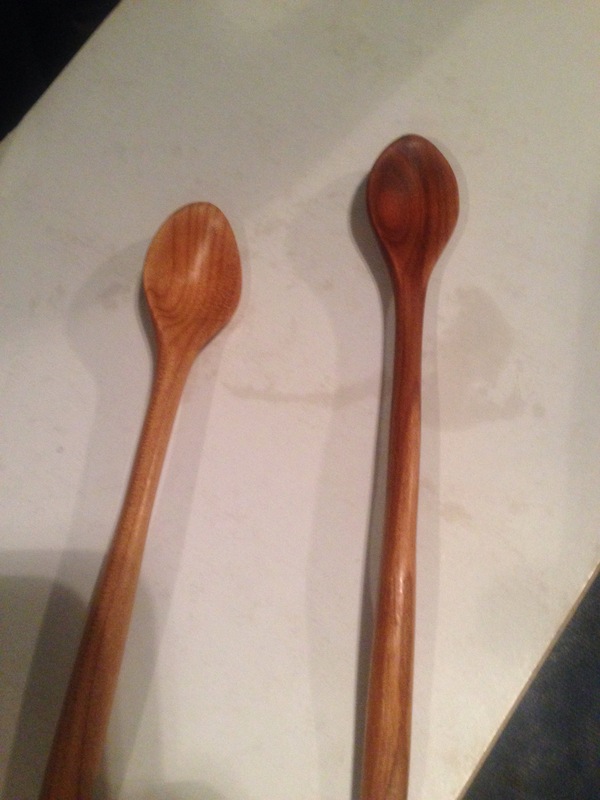 I’ve been whittling smaller spoons at work and remembered reading about leaving cherry in the sun to darken. Here’s what two days on the seat of my truck has done to the spoon on the right in comparison to the spoon on the left which was just finished. I didn’t expect the effect to be so dramatic.